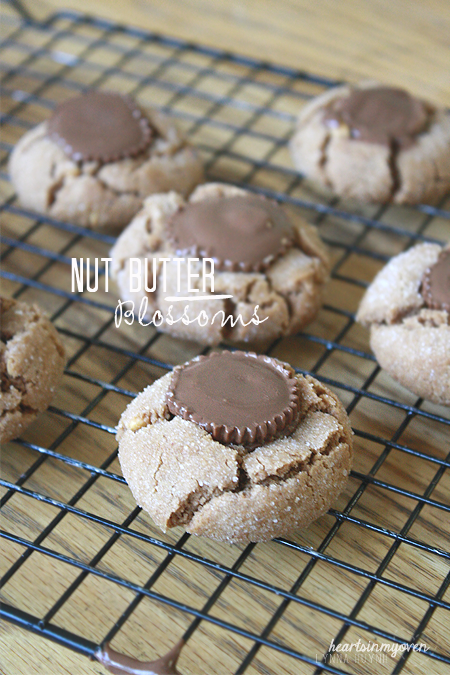 A while ago, I wanted to make the famous peanut butter blossoms cookies. You know, the ones with Hershey's Kisses on top. I decided I wanted to change things up by adding chocolate hazelnut butter. Isn`t that nutella? Well, yes, but this is slightly different. Have any of you heard of Justin's Nut Butters before? They are healthier than other nut butters. So, their chocolate hazelnut nut butter is like Nutella, but they have significantly less sugar. No, I`m not being paid to say this! Haha. One day, I decided I`ll give the chocolate hazelnut butter a chance since I`ve stumbled upon the name before online and heard it was delicious. The recipe yields 8 small cookies, which I would say, is the perfect amount of cookies to have laying around the house. It`s not too much, so you don`t feel like you have to stuff yourself with more, because you don`t want to waste food before it goes bad. 2. In bowl of electric mixer, beat together the shortening, peanut butter, nut butter, brown sugar, and sugar until combined. 3. Mix in the egg, milk, and vanilla extract. 4. In a medium bowl, combine flour, baking soda, and salt. 5. Transfer flour mixture to the peanut butter mixture and beat together until dough comes together. 6. Place 2 tablespoons of sugar on a plate for rolling. 7. Make 1 inch balls and roll into sugar. 8. Bake for 10-11 minutes, or until slightly golden. 9. Remove and place on cooling rack. 10. 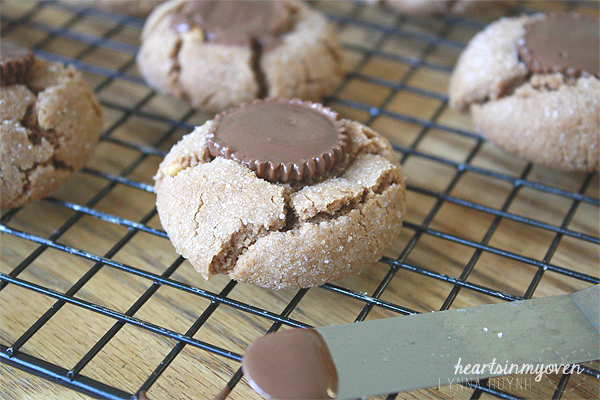 Press an unwrapped Reese's peanut butter cup on top of each cookie.